Good news, everyone! I just launched the Pizzeria Disgusto Kickstarter campaign! Go to the project’s Kickstarter page to find out more about how you can help me make Pizzeria disgusto come to life! Special thanks to Tobias Ludescher and Peter Schönhardt for making the Kickstarter video! And thanks to Basti Balser from Pirate Movie Production for editing, Christoph Holzknecht for additional sounds, Andres Jensen for the music and Galileo Sironi for the Italian translation! Mille Grazie! 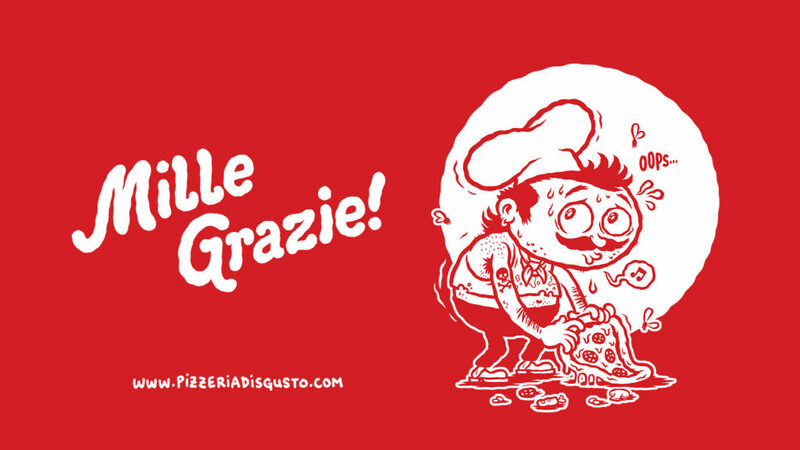 ← Making of Pizzeria Disgusto ← Funded in 17 hours!